The carmaker’s decent earnings seem to justify its CEO’s decision to eschew a big merger, sell GM’s Europe unit and focus on electric and autonomous cars. But Opel’s rapid recovery under new owner Peugeot could return to haunt Barra if her Autos 2.0 strategy careers off the road. 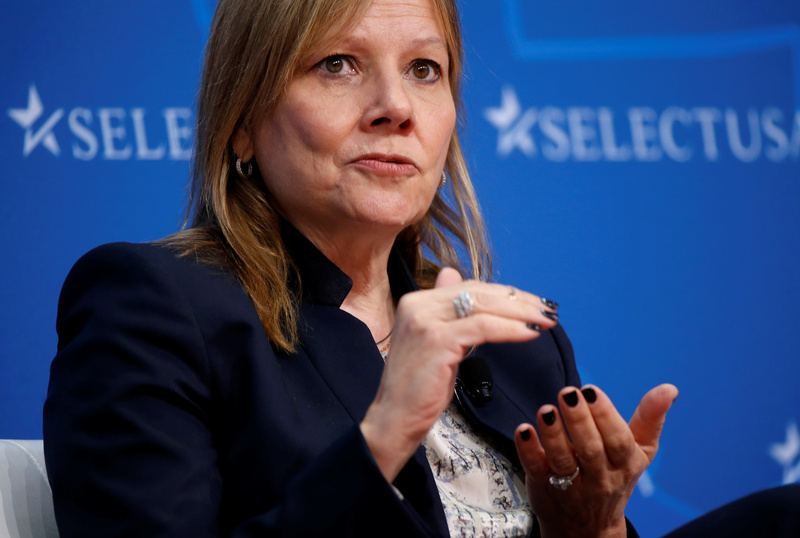 Mary T. Barra, Chairman and CEO of General Motors speak at 2017 SelectUSA Investment Summit in Oxon Hill, Maryland, U.S., June 19, 2017. General Motors on July 25 reported second-quarter earnings of $2.4 billion, 2.8 percent lower than the same period last year. At $1.81, earnings per share beat the consensus estimate of sell-side analysts of $1.78. Revenue of some $36.8 billion was in line with the consensus estimate and slightly lower than the second quarter of 2017. Ford Motor is due to report second-quarter earnings after stock markets close on July 25. The consensus estimate puts earnings at $1.4 billion, or 31 cents a share, and revenue at $35.8 billion. On July 24 Ford said it is creating a separate division for its self-driving cars business. It is called Ford Autonomous Vehicles, and is “structured to take on third-party investment.” It will be run by Sherif Marakby, who currently heads up Ford’s autonomous and electric-vehicle operations. Ted Cannis will take on responsibility for the company’s electrification plans. Ford expects to invest $4 billion in its autonomous-vehicle efforts by 2023, including the $1 billion it has already earmarked for the startup Argo AI that it bought last year. The structure is similar to the one GM created in May for its GM Cruise unit, in which SoftBank is investing just under $2.3 billion.